Boasting of enchanting vistas of the Himalayas, and the cultural ethos which speak of simplistic living with nature in harmony – Uttarakhand is a land of surreal natural beauty and tranquil spirituality. From numerous sightseeing places, to theadventure sports, there is must for a tourist both indoor and outdoor in Uttarakhand. In the state, there are several destinations you can visit. The capital of Uttarakhand, the city of Dehradun has a beautiful location with a superb view of the Himalayan ranges and of River Ganga flowing on either of the two sides of the city. Also, neighboring Mussoorie is situated at a distance of about 30 km from Dehradun. Mussoorie is famously called the ‘Queen of Hills’ and it attracts lots of tourists every year. One of the best places to pay a visit to when in Uttarakhand and a very popular getaway for the couples and the families is the town of Nainital. Situated by the famous beautiful Naini Lake amidst the valley, encircled by mountains on all its sides where you can enjoy some majestic vistas of nature. Plus, there also is plenty to explore at the interesting tourist spots here. An uncommercialized hill station, Ranikhet is all about a peaceful get away. You can check out the hotels in Ranikhet with tariff before heading there. You can spend a great family vacation here amidst the hills and the lakes. It also has several adventure sports lined up for you. Chamoli is famously known as ‘adobe of Gods’. 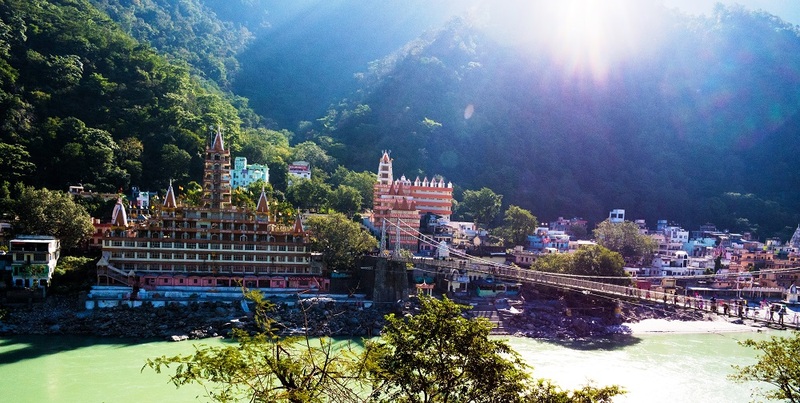 Popular for its shrines, the temples and the many connections with the Hindu mythology and the stories — the town of Chamoli is also the same place, which sparked off the popular Chipko Movement. The place is much frequented by the tourists for its beautiful villages and also for the rich Garhwali traditions. Binsar is situated amidst a wildlife sanctuary. At a height of some 2,500 m, Binsar is a little cut off travel place offering majestic vistas of the Nanda Devi, the Nanda Kot, Kedarnath and Chaukhambha. Much like the several others, this place also has a mythological connect with the local God Golu Devta. They say he had a fight with king of Binsar. Formerly known as the Haley’s National Park, the Jim Corbett was established in the year 1938 and it attracts visitors for its many Royal Bengal Tigers. This park is home to around 500 species of birds, and an equal number of animals. It also has around 500 different types of trees and plants. Jim Corbett daily organizes the safaris and the hiking trails through its dense forest’s buffer zones. If you are an animal lover, and are also adventurous, Jim Corbett National Park is one of the best places to visit in Uttarakhand. All of the above places can be visited from Dehradun by road. From simply a peaceful stay at the Ranikhet hotel to a safari at the Jim Corbett, Uttarakhand has a lot to offer to its tourists.